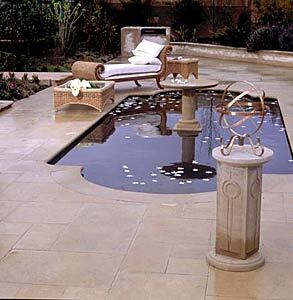 Flagstone also make a large range of Garden items, including Urns, Water-features, Bird-baths, Plinths, Plaque (Memorial) Stones, Masks, Benches, Tabletops, and other decorative items to fill your garden and create your own personal blend of harmony and function. We manufacture a range of Garden Edging and Bollards, which can extend the colour themes of your home out into the natural tones of your garden. Produced in straight lengths they are ideal to formalize a box hedge or pathway and also have many other applications. 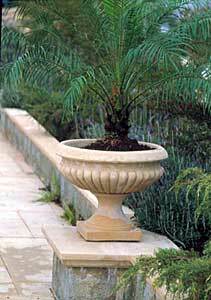 They can also serve as a small retaining edge for your garden beds.